No Added Sugar Concentrated Summer Fruits Soft Drink with Sweeteners, Added Vitamins and Zinc. 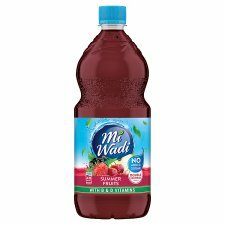 A little splash of MiWadi can help you drink the water you need each day. Your MiWadi Summer Fruits contains Added Vitamins and Zinc that contribute to a healthy immune system and the growth of healthy bones.